Mathnasium, the Master Franchise Maths Tutoring Franchise for Children is now available in South Australia. 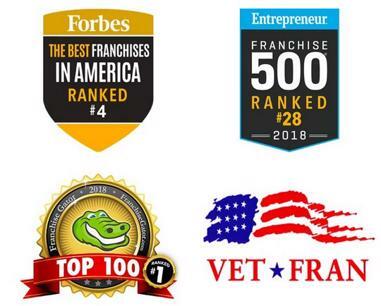 Ranked #33 Fastest-Growing Franchise by Entreprenuer Magazine. Contact Us Today! Mathnasium, a Maths Tutoring for Children Franchise, Area License is Available for South Australia. Contact Us Today to Learn More About the Master Franchise in South Australia! Franchisees are Required to Provide a Physical Tutoring Location. From the first point of contact, we have significant and strategic support to develop your marketing and promotional plans. This includes a complete range of Marketing tools, assets and promotional materials--across the marketing mix. We provide a wide array of customizable promotional materials, website, and social media assets. As well as ongoing access to specialist marketing professionals. The marketing process and resources are covered at initial training. Some typical marketing channels include: SEO; paid search ads; email marketing; social media; school partnerships; press releases; event participation; etc. A full line of ready-to-use marketing materials is available from HQ. This includes templates and formats for online advertising, flyers, display ads, direct mail pieces, and brochures. We do not invest in marketing in country, our Marketing Department supports franchisees who then market locally. 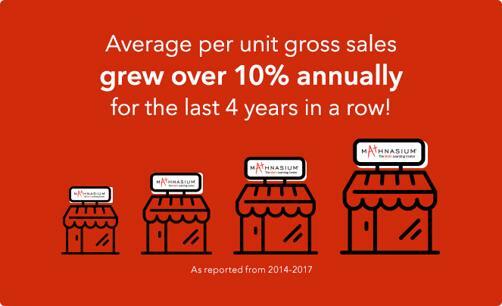 Mathnasium offers franchisees the opportunity to own a business and make a difference. Our proposal consists of a multi-unit ownership model. A background in math or teaching is definitely not necessary. However, investors should have previous business or entrepreneurial experience. Masters and Area Developer Agreements are 10 years. There are renewable options with same 10 year terms on renewals. Mathnasium is the world's leading math-only learning centre for children. Our rapid growth has surpassed all expectations and we now have over 900 locations around the globe. 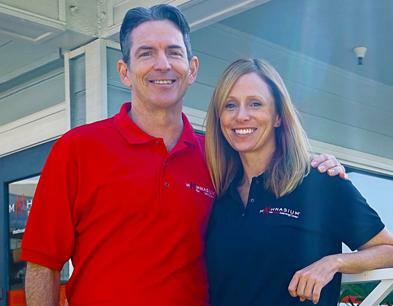 We are proud to be ranked #28 in Entrepreneur Magazine’s 2018 Franchise 500 and #3 on Forbes 2018 Best Franchises to Buy list. Our programs support children of all ages to develop math skills and build confidence in their abilities. The proprietary Mathnasium Method™ is the result of 35 years of hands-on instruction and research. It succeeds because it works. Choose great people as instructors and empower them with the best teaching method – that’s our formula for success. But we aren’t just in the business of boosting grades. We break down barriers to build confidence and self-esteem. Every day, we witness another child freeing themselves from constant confusion with numbers, and one more family alleviating the frustrations of nightly homework challenges. 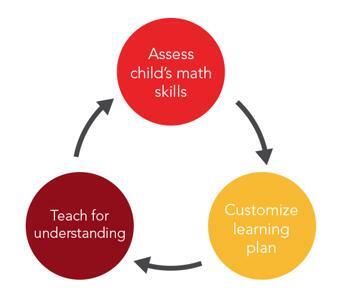 Transforming a child’s attitude toward math is key to transforming a child’s capability. And with increased capability a world of opportunity opens up to a child. No matter how advanced technology becomes, the human being remains the ultimate teaching technology. That’s because there is no replacement for the emotional support, encouragement and sensitivity that make children thrive. They need us to believe in them. Just like adults, children yearn to be treated with dignity, respect and patience. When asked, parents don’t know where to find math instruction for their children. Even if they do know of a tutoring place, it’s not likely one their child would willingly attend or benefit from significantly. The fact is, many parents, or their friends, have had a disappointing experience with a learning center. This isn’t a surprise considering most of these centers operate with a curriculum of up to 20 subjects spanning 12 different levels! This makes it nearly impossible to teach any one subject really well. As the basis for in-demand industries like bioengineering, genetics and computer science, high math scores are crucial. Math proficiency is considered to be the foundation and predictor of success. More than forty years ago, math educator Larry Martinek was inspired to find a better way to teach children math. 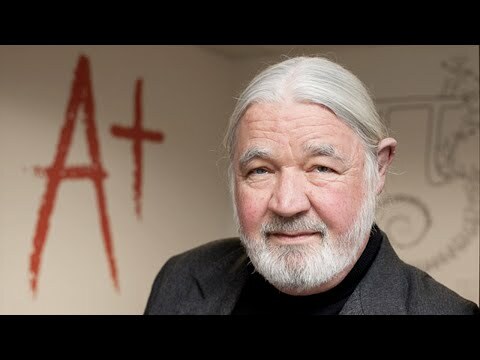 Through developing, and refining his approach based on his extensive experience teaching math, the Mathnasium Method was established. The Mathnasium Method™ has transformed the way kids understand and appreciate math. 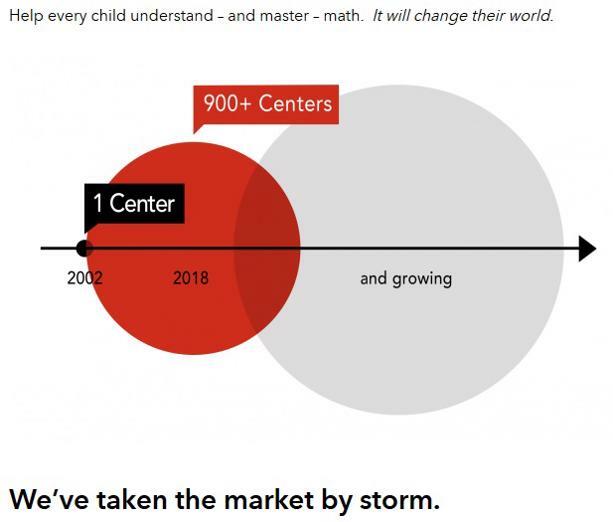 In 2018, Forbes Ranked Mathnasium number 4 in its “Best Franchises to Buy” list. And Entrepreneur magazine ranked us 28th in Top 500 Franchises.